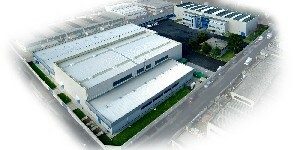 Eredi Scabini was established in 1945, thanks to the initiative and enthusiasm of its founder Osvaldo Scabini who established a firm position on the Italian heat engineering market from the very outset with high technological content refractory products, capable of meeting the needs of the most demanding customers. This was the start of a success story, involving major novelties and ongoing confirmations which quickly transformed the Eredi Scabini enterprise into an important reference point for the iron and steel market in Italy. 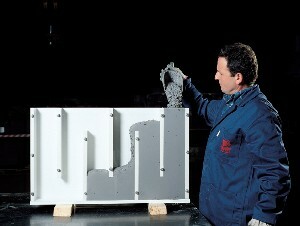 Reassured by its direct experience, in 1993 Eredi Scabini addressed the market in its new capacity as a producer of monolithic refractories.Today, the Company has a staff of more than 50 specialised employees, enabling the company to operate readily on both the domestic and international market. Eredi Scabini produces more than 15,000 tonnes of monolithic refractories in its plants, based on formulas which are owned exclusively by the company. More than 30% of the material produced is transformed into pre-formed products intended to be used to line furnaces and molten metal containers. In a broad range of pieces, which vary from 0.5 kg to 15,000 kg each. In addition, the company is structured to provide demolition, installation and lining drying services, in its own plants, referred to furnaces and plants owned by customers.